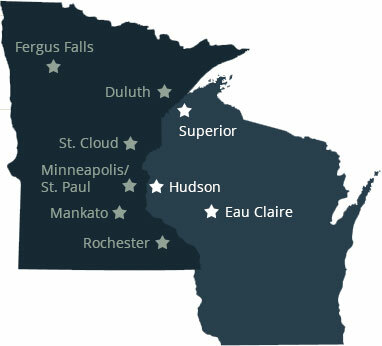 Auto Accident Attorney In Twin Cities - Have You Been Injured? | Woods & Thompson, P.A. 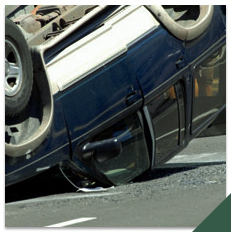 Any type of auto accident has the potential to turn your world upside down. While a small accident may cause weeks of fighting the insurance company for the benefit you are entitled to, a devastating crash can result in overwhelming pain and loss for family members. At Woods & Thompson, P.A., we understand the impact these accidents have on our clients. The auto accident attorneys at our law firm are committed to handling the legal process and getting you the compensation as well as the closure you are entitled to. It is our goal to carry this for you as you seek the treatment and repairs needed to move forward with your life. If you’ve been in an auto accident and need an attorney, please reach out to us. If you’ve recently been in an auto accident, it is stressful to deal with auto repair bills, medical bills, and settlements on top of dealing with the pain of an injury sustained from the crash. If your loved one was in a fatal accident, dealing with the loss on top of the bills can be excruciating. When you hire an auto accident attorney like Woods & Thompson, P.A., you’ll receive help making the correct next steps after your accident. You need to make sure you receive compensation for damages, injuries, and loss. If the driver that caused the accident doesn’t accept liability, and investigation will need to be performed. Attorneys know where and how to look for evidence to help support your case. You may accidentally admit fault, even if you’re not at fault. If you’ve inadvertently accepted fault, insurance adjusters will try to pay less money for a claim, even if your claim is valid. Insurance companies will try to get you to admit fault by asking questions about the accident. When you have an auto accident attorney though, we deal with insurance on your behalf and work to reach the best solution possible for compensation. When you contact Woods & Thompson, P.A. to represent you, we work to help you through the entire process that comes after your auto accident. When you come in to meet with Woods & Thompson, P.A., there are a few things we need to know to get a better idea of the events that took place in your auto accident. If you know the answers to the following questions, we will be able to understand your case better and how we can help you. Have you been in contact with an insurance company representative? To whom did you speak? What did you tell them? Have you talked to anyone else about the accident? This could be friends, family members, law enforcement, first responders, or anyone involved in the accident. What type of car insurance and/or health insurance do you have? Were there any witnesses to the accident? Do you have their contact information? On top of being able to answer these questions, it is important that you are honest with us about everything that happened. Even if we haven’t accepted your case yet, you are protected by attorney/client privilege when you meet with us. The more we know about what happened, the better we will be able to represent you. If you or a loved one have been in any of these types of accidents and have sustained damages, injuries, or someone you love was killed, please contact Woods & Thompson, P.A. for help. Continue reading for more information on how we can represent you in cases of death, injury, and how car accident settlements work. 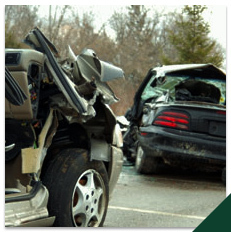 You can also check out pages for more information about specific types of auto accidents. The sudden loss of a loved one — especially in a tragic and unexpected event — is excruciating to endure. It’s hard enough to deal with the expenses and bills after an auto accident, and the last thing you want is a legal headache on top of it all Woods & Thompson, P.A. wants to represent you to help ease the stress and pain of dealing with the expenses you’ve accrued from your loved one’s fatal accident. Contact us today for assistance. Whether you’ve sustained whiplash, or you’ve had to endure hospital stays and surgeries to recover from a car accident, the medical bills after your crash can be astronomical. We can help find a solution to get your medical expenses paid for. On top of that, we will assist you in finding a way to pay for the damages to your vehicle. Contact Woods & Thompson, P.A. today to help represent you for your car accident injuries. A settlement, by definition, is an official agreement intended to resolve a dispute or conflict. In an auto accident, a settlement usually involves a monetary payment to settle the debt for things that couldn’t be replaced. Maybe your car can be fixed or the pain from your whiplash will go away, but if you’ve lost a loved one, time from work, or you’re likely to experience some degree of pain and suffering down the road due to the accident, a settlement helps compensate for those pains and losses. On top of helping with medical bills and vehicle expenses, Woods & Thompson, P.A. can help you settle your case. Whether you’ve experienced injuries, lost a loved one, or you need help settling your case, Woods & Thompson, P.A. is here to help. Please continue reading for more facts and statistics about the causes of car accidents. Regardless of how the accident happened, though, we want to help you with your case. Contact Woods & Thompson, P.A. 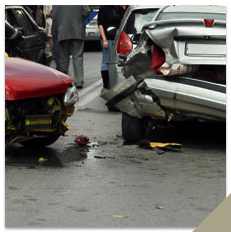 for an auto accident attorney today if you or someone you care about has been in an accident. There are a lot of reasons why auto accidents happen. Whether the driver was distracted, using their phone, had been drinking beforehand, or speeding, the outcome could be devastating to you, them, and others. Read more about common reasons auto accidents happen so you can be aware of the dangers on the road around you. According to the National Highway Traffic Safety Administration (NHTSA), 424,000 auto accident-related injuries were caused by distracted drivers in 2013. In the same year, there were 3,154 auto accident fatalities because of distracted drivers. Distracted driving is broken down into three categories. When a driver is experiencing a cognitive distraction, it means that their mind isn’t focused on driving. This could be because they’re talking to a passenger; they’re preoccupied with personal, family, or work-related issues; or they could even be distracted by audio, like a radio station or a podcast they’re listening to. When a driver is visually distracted, they’re looking at something other than the road. This could be something as little as checking a child’s seat belt, checking a GPS or portable entertainment system, or looking at electronic devices (see “Driving While Texting Accidents” below). This type of distraction is when the driver has taken their hands off of the steering wheel. Someone might do this because they’re eating or drinking, they’re adjusting their GPS, or they’re trying to retrieve something from a bag or a purse. We know that distractions happen, but when they cause accidents that harm you and your loved ones, you need to be represented fairly. When you need an auto accident attorney, contact Woods & Thompson, P.A. The National Safety Council reported that 1.6 million crashes are caused each year by drivers who use their phones while driving. This means that 1 out of every 4 accidents in the United States are caused by drivers who are texting and driving. Out of those, 390,000 auto accident injuries are caused by drivers who text while driving. When drivers text while driving, they are six times more likely to cause an accident than drunk drivers. This is because, when they’re driving at 55 miles per hour, they travel the length of a football field when they take just 5 seconds to respond to a text. You can drive defensively, but that won’t always protect you from an accident where someone is looking at their phone instead of the road. If you’ve been in an auto accident, contact Woods & Thompson, P.A. Luckily, the number of fatalities related to drunk driving accidents has decreased 48 percent since 1982. However, drunk driving still accounted for 29 percent of fatalities in auto accidents in 2017. A driver is still considered intoxicated and above the legal driving limit if their BAC exceeds 0.08. In alcohol-related accidents, 67 percent account for at least one driver having a BAC of 0.15 or higher. It doesn’t take much alcohol to impair an individual’s driving. If you’ve sustained injuries and/or lost a loved one because of a drunk driver, get help from Woods & Thompson, P.A. to represent you as your auto accident attorney. Even with these facts, many people still speed, at the risk of themselves and others. People speed for many reasons, but they are most likely not being aggressive drivers intentionally. Some people speed to avoid or escape traffic congestion. Others are running late and are trying to make up time to arrive at work, school, a meeting, a lesson, a game, or other appointment when it was scheduled. Others speed because driving in a car creates a sense of isolation. They are less aware of those around them and they do not feel like their actions and behavior are being watched. Unfortunately, there are those who do speed because they are intentionally disregarding others and the law, and this is just part of their normal behavior. Most of the time, though, people aren’t driving aggressively or speeding intentionally; they’re just running late or they’re reacting to a personal issue in their life. There are many reasons why a person could cause an accident. You can do everything you can to pay attention and drive defensively, but there are some accidents that can’t be avoided. Whether the other driver wasn’t mentally focused, they were looking at their phone, they were intoxicated, or they were speeding, you need to be compensated for damages, injuries, and loss. Depending on the reason why the accident occurred, the driver may even be liable for a negligence charge as well. If you are in need of an auto accident attorney, please contact Woods & Thompson, P.A. for representation and help navigating the next steps after an auto accident.